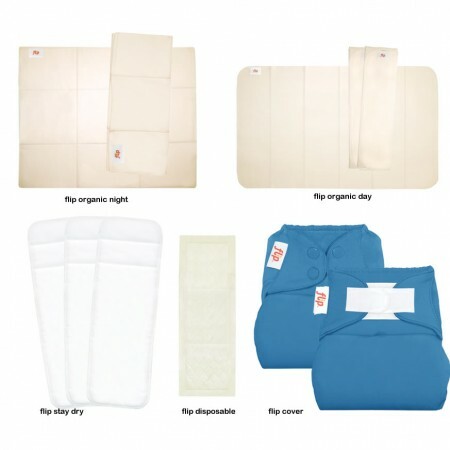 With all the different options Flip nappies can appear a little confusing, but really it's simple. A cover with a choice of inserts to suit your needs. This handy pack let's you try out the whole system with all the inserts. This Flip trial pack contains 1 flip cover, 1 flip stay dry insert, 1 flip organic day insert, 1 flip organic night insert, 1 pack of flip disposable inserts, 1 roll of nappy liners and a handy wet bag to store dirty nappies in. 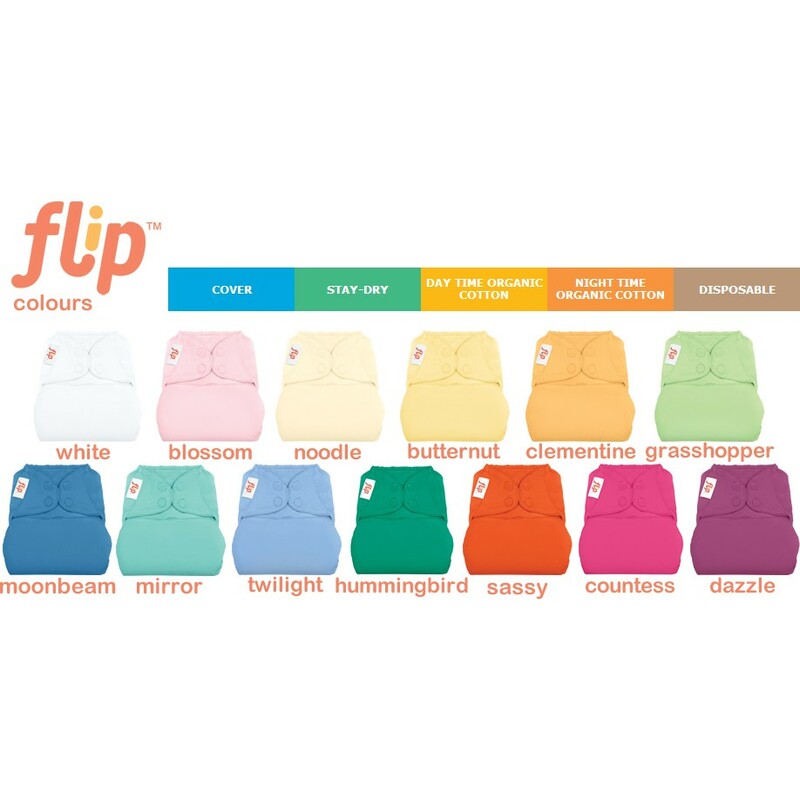 Whether you're thinking of trying washable nappies for the first time or you want to find out what all the flip fuss is about this pack is great value and sure to convert you.